The difference one makes in the lives of youth is not easily revealed or articulated. But it is real. Meet Uzziel Fernandez, affectionately known as Uzi. He is a product of the Back of the Yards, located in the southwest side of Chicago. Uzi, is no stranger to the unwitting labels and stereotypes of being a South Sider. Having attended Gage Park High School, known for having one of the lowest graduation rates within the Chicago Public Schools, he understands the perils of growing up in this impoverished section of the city. The southwest side of Chicago is known for its ethnically mixed, largely low-class neighborhoods, proximity to the airport, and the White Sox. Poverty is rampant and there are few opportunities for a quality education. Some view parents as not valuing education. Some label students as low achievers. The achievement gap widens simply because they come from working-class families. Youth grow up with complexity and ambiguity as they strive to overcome these obstacles. Yet, Uzi defies all odds. His parents always told him he deserved a good education. They pushed him to excel and to put everything he had into his schoolwork. Grateful for their influences, he knows what he is capable of and keeps moving forward toward his own definition of success. 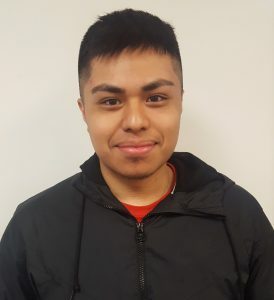 Thinking back to his high school days, Uzi recalls the productive, measured, and meaningful learning experiences presented to him by Mr. Weglarz, a teacher in the Equipment and Technology Institute at Gage Park High. Welgarz knew his students needed exposure to a variety of STEM fields. He volunteered to facilitate the Ten80 Student Racing Challenge to help his students apply practiced and soft skills to expand postsecondary and career opportunities. Welgarz not only inspired his students to develop a strong foundation in engineering and technology, but also communication and problem-solving skills as well as a strong work ethic. During junior year, Uzi and his classmates won third place at their first city-wide competition. Taking advantage of an opportunity few students receive, they applied themselves even more during their senior year. Working many hours, on their own time, they took on bigger roles in the Ten80 program. “Being a part of Ten80 was so much fun because I had never had an experience like it before. Being able to create something from the ground up and being able to call it partly yours in an amazing feeling,” shared Uzi about his experiences as team leader. Currently a junior at the Illinois Institute of Technology, Uzi always knew he wanted to be involved in STEM as a career. It wasn’t until his senior year in high school that he discovered he wanted to be a Civil Engineer. His parents taught him to strive for more. Mr. Weglarz was a strong advocate for his future successes. And, the Ten80 program encouraged him to work hard to accomplish big tasks. Coupled with his experiences working at Project Exploration as a STEM Facilitator, Uzi’s world includes helping kids stay out of the streets by inspiring them to be excited about learning, anything and everything, and to have fun while doing so. “I was lucky to have a teacher like Mr. Weglarz,” shared Uzi. “Many people do not have a teacher who supports them and helps them figure things out. I want to be that person for others.” With an appreciation of where he comes from and those who support him, he ambitiously works to support the youth in his community. For the past year, Jaclyn Carmichael, program director at Project Exploration has invited Uzi to teach in the community center. So, this past summer, Uzi facilitated Exploring Engineering. The six-week camp brought the Ten80 Student Racing Challenge to thirteen high school students in his community. “I wanted to engage kids just like Mr. Weglarz engaged me,” shared Uzi. “Being able to inspire others to pursue STEM is dream of mine. I feel like everyone deserves some sort of exposure to STEM.” Inspiring a thirst for achieving beyond self-imposed limitations, Uzi successfully helped these youngsters connect their own experiences to big ideas in STEM. One things for certain – Uzi’s future is bright. With a passion for STEM and a desire to give back to his community, everything he chooses to do is a step towards a future of his own design. There is no doubt, the future is sure to offer even more success for this product of Back of the Yards.